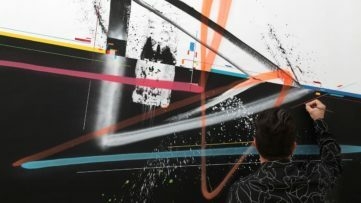 “I really like the street because of its immediacy and the ‘suffering'”, said Felipe Pantone in an interview for WideWalls magazine. One of the most popular street artists active today, endured steaming hot and freezing cold whether, police chases and public animosity while decorating walls around the world, yet he still feels drawn to the energy of the streets. 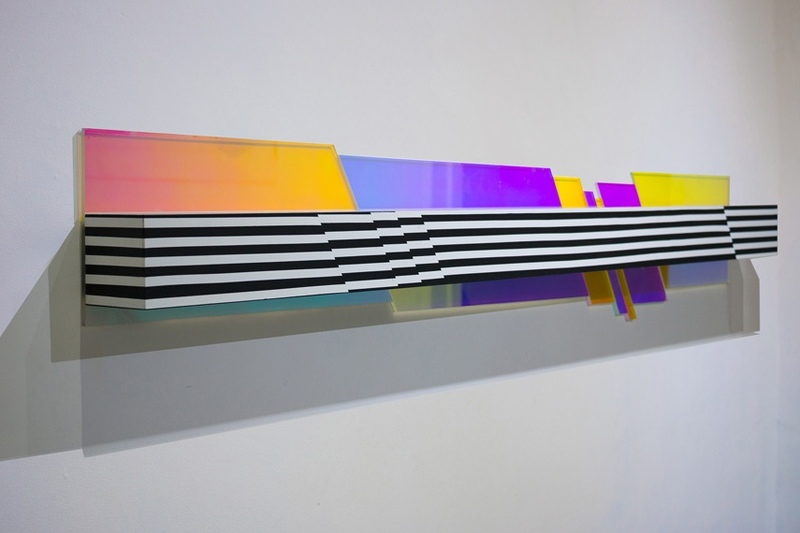 After featuring his works in many Streets updates in the previous years, we finally got the opportunity to ask Felipe Pantone a few questions about his mind-bending optical art pieces. Valencia-based creative embellished many streets all over the globe with his versatile geometrical artworks spanning from OP to kinetic art. Having begun his career by painting black and white artworks with an emphasize on the stark contrast, the artist quickly moved to making optical art pieces that quickly captured the attention of the viewers. With an intricate combination of straight and bold colors, the artist creates ultra-modern optical illusions that complement and react with the modernity of our cityscapes. 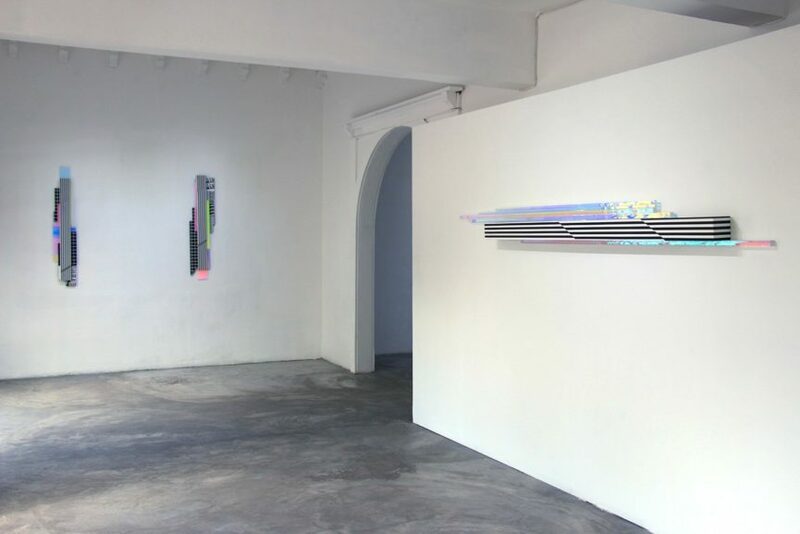 In his latest exhibition, Felipe Pantone made a shift from making square formats typical for his studio works and produced artworks in elongated vertical and horizontal form. 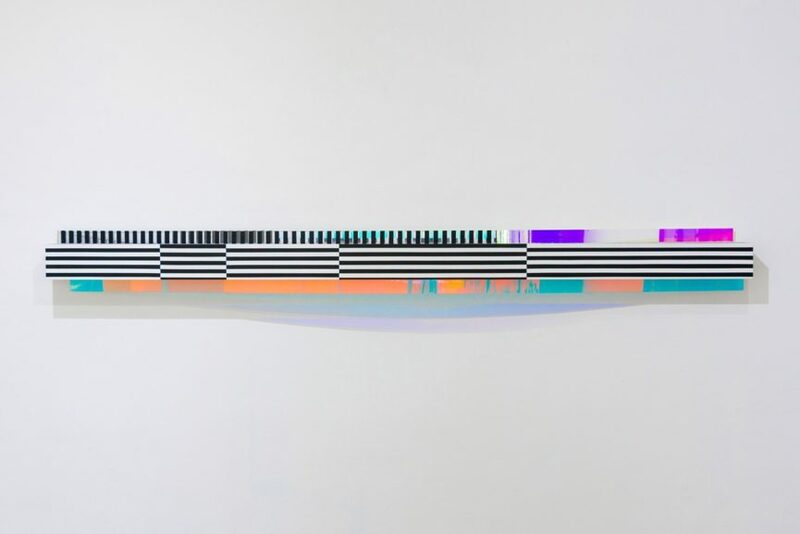 Felipe Pantone recently finished an artist residency at Celaya Brothers gallery in Mexico, where he created an array of works dealing with the human propensity to see an entire world from a vertical perspective. Since the dawn of time horizontal format was used for portraying stories and different narratives but with the development of smartphones, our world is quickly getting used to living in a vertical world. Popular applications such as Snapchat or WhatsApp, deliver stories and information in a vertical form to millions of people. 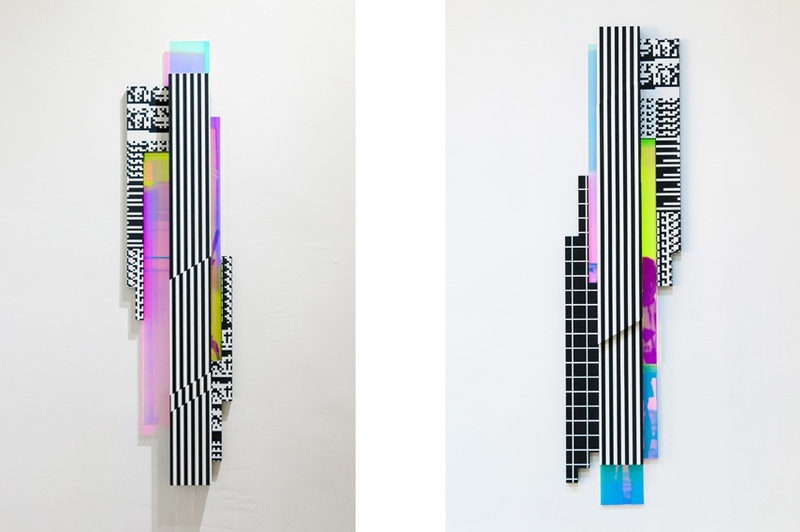 This change in human perception served as an inspiration for urban artist Felipe Pantone who created his new art series in a completely vertical way. The skillful artist made an array of flipped pictorial pieces that will be on show at Scroll Panorama exhibition at Celaya Brothers art venue. 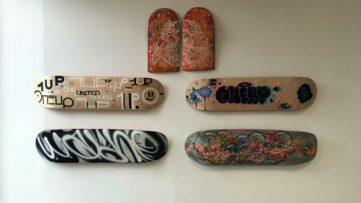 In an exclusive interview with the prolific artist, we discuss his graffiti and studio works, his recent artist residency and his future plans. WW : When did you start painting on the streets? Could you describe your first artwork? I started out when I was 12, as I grew up in a tourist town were there was loads of graffiti everywhere. I just went out, bought some spray cans at a hardware store and I got started! It went kind of badly, but not as bad as I expected, so I got hooked immediately. WW : You’ve worked with a variety of media both in the streets and in the studio. Could you tell us what’s your favorite media to work with and why? I feel as comfortable in the studio as on the streets. I really like the street because of its immediacy and due to the “suffering” (I like to get wet when if it rains and to burn myself if is mad hot), and on the other hand I like the studio as I confront another dimension (exploration of the space); the street conditions you in many degrees, either a cop chasing you or not, it being hot or cold, people passing by taking a look and judging it, or sometimes you have just the necessary paint or you can run out of the color you need and you just have to paint whatever you can. But in the studio you can choose everything, you have full control over all factors and elements. It can seem the studio has more advantages, but the fact that the street conditions you can be really helpful and push you forward, plus the fact of everything the streets and walls transmit, the energy they have. WW: Your works are marked with bold geometrical patterns and optical effects. What drew you to geometrical abstraction, Kinetic and Op art? I was always trying, as every graffiti writer, to stand out in the streets so I started to emphasize on the contrast pictorially ending each piece in black and white. I ended up realizing that by painting so much black and white I was approaching nearly optic pieces, so I slowly started adding up the full colour spectrum, which made my pieces more visible, with fluorescent colours. Quoting Joan Fontcuberta, there are more images generated than the number which we can consume, and as the artist has to out stand and graffiti has so much to do with art, I thought I should focus my effort on remaining visible over time. WW: Technology and the Internet are also recurrent topics in your oeuvre. How does technology play a role in your work? 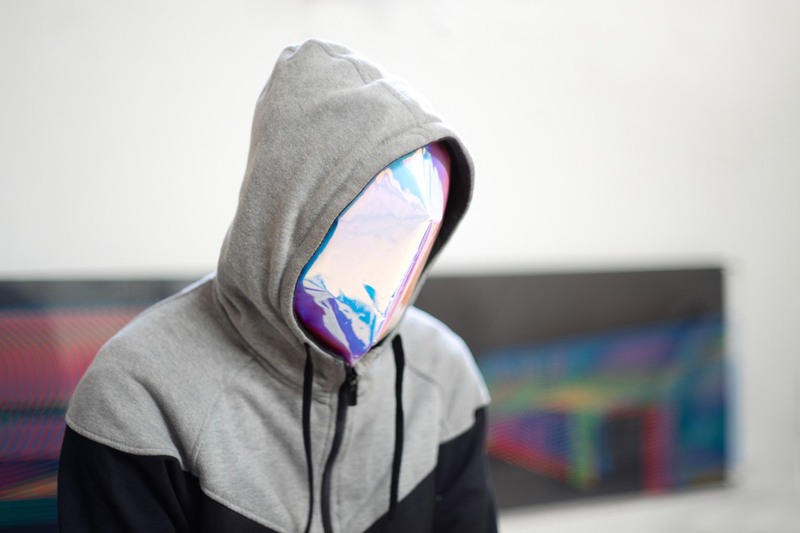 How do you see the future of technological progress and its influence on art? Technology is really important, not only in art but in every discipline and order in life. People tend to relate technology to modern gadgets, but for example, I always say that in art a pencil is a really good technological tool I use to draw. During the Reinassance oil paint improved everything, whilst before we were some terrible paintings were done, so that’s a big technological improvement, right? Having such powerful computers nowadays can only be good for art and for every other subject. WW: An art intervention made inside the Duplex A86 tunnel was truly impressive. 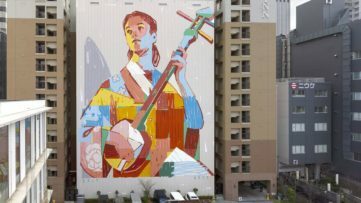 What are the challenges of creating such a gigantic artwork? Thank you! My experience there was super crazy because it was with short notice and therefore we had little time to organize it, and we also had little time to execute the piece. Finally, the team from Palais gave me so many facilities, I was able to bring 7 assistants with me, a full bunch of cranes were available for us and therefore we could manage to complete the full piece in 5 days. It was an awesome experience and I would like to thank Palais de Tokyo for their help to make it happen! WW : Why did you call your solo show Scroll Panorama? 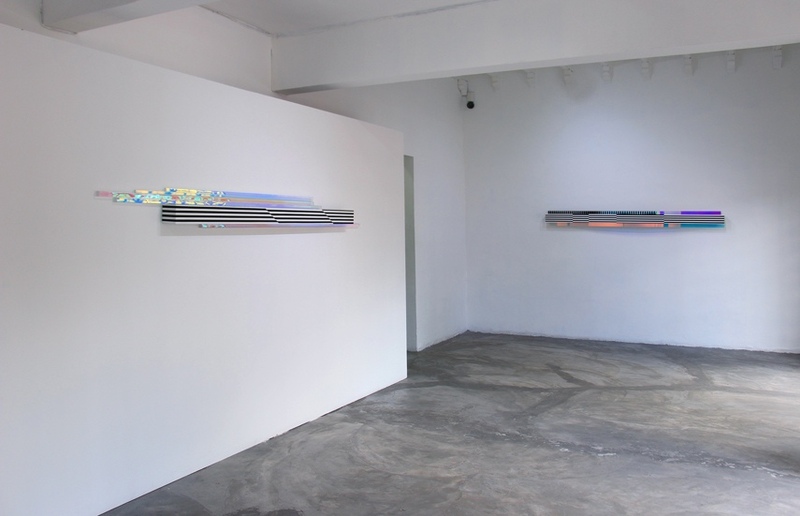 Could you tell us what was the inspiration behind the exhibition that’s opening at Celaya Brothers Gallery’s space? It’s an exploration about formats. Nowadays we look at the information that is given to us in very panoramic formats, either them being horizontal or vertical. When I work on my studio work I usually do square formats so it has been a good research for me. WW: You were this year’s Celaya Brothers Gallery’s resident artist. Could you briefly describe your residential experience ? 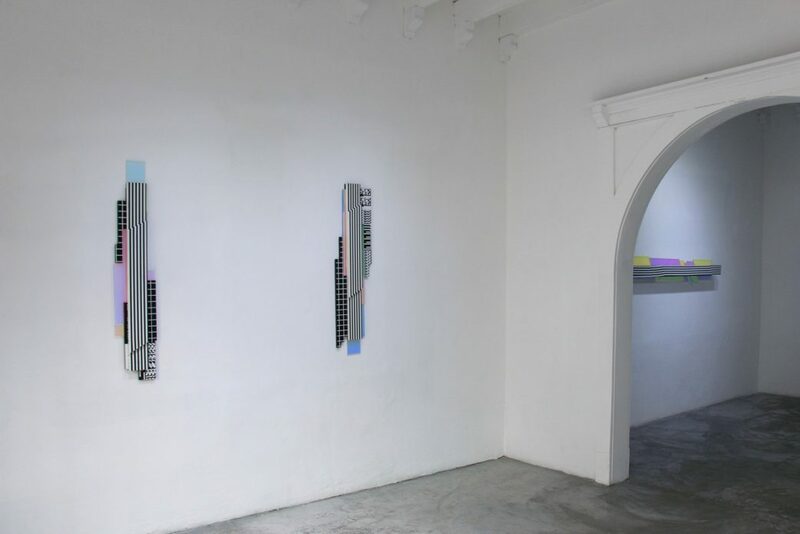 Why are residency programs important for artists? On one hand, I couldn’t even find the hammer when I needed it because I know right were it is at my studio! I usually create and produce at my studio in Valencia, so this type of show has its own pros and cons.Either way it was hand incredible as I’ve had the full month to think about it and create it, in a secluded environment. It is actually the first time since I started painting that I have been a full month without painting in the street, just a few tags here and there. I was able to think, investigate new techniques and formats, and new ways to express myself. WW : Tell us a little bit about your future plans. What’s next for Felipe Pantone? Where can we see your works in the following months? For the next year I will be doing solo shows with some galleries of whom I am really happy with their work. I am finishing the construction work of my news studio in Valencia, which will help me improve in terms of timing and efficiency and which will allow me to explore new techniques and new formats. Either way, I will try to alternate all of this with what I have been doing up to now and what has brought me here!